Interaction in Families: An Experimental Study of Family Processes and Schizophrenia. All psychiatrists should be aware of the existence of this book. Although specialized researchers, more than others, will want to study it in detail, the fact that this kind of work is now possible should be known to clinicians and researchers alike. All too commonly, psychiatrists still believe that the details of interaction and communication are too complex and elusive to be studied with systematic, hypothesis-testing research. 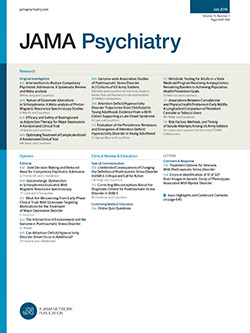 Most psychiatrists recognize that hypotheses about links between catecholamines, for example, and psychopathology can now be evaluated systematically. However, there is a tendency to assume that interaction between human beings, especially in an intricate social unit, such as the family, can only be described by clinical anecdotes and impressions, or by reference to vague abstractions, such as dominance and submission.